This feature is one of the latest addition to cars, and it is quite surprising that a lot of car owners do not have a slight idea regarding the history of this car feature. In the early days of motoring, car owners and passengers had to dress up as if they are outdoors. This involves wearing heavy clothing, winter gloves and snow boots. Not until recent times, car production company realised that a few comforts, like heat in the passenger compartment, or even some type of heated seating, is capable of boosting sales. The most interesting aspect of this car heater technology is the inventor and history behind the rise of this technology. Car heater technology would never have come into realisation without the input of a great woman and inventor known as Margaret A. Wilcox. She was born in 1838 in US, Chicago. Her car heater invention is still regarded as one of the most notorious experimental invention that is considered still to be most valuable. She was patented for car heater on Nov 28, 1893. Margaret Wilcox’s car heating system was created in a way that it could direct air from over the engines for warming the body of aristocratic and wealthy motorists in the 19th century. Her invention was well received until it became somewhat of a safety concern as the temperature could not be regulated. Far back in the 19th century, individuals and engineers saw car production as a mean of evolution and development from horse and carriage usage. In 1880, modern electric and gas-powered cars were being mass produced, but they were mostly open and featured no windows and certainly no heat. With the increase in technology and inventions, in 1907, enclosed cars that featured glass windshield were first produced. These set of cars with enclosed spacing helped protect against the elements such as sun and rain. Although during this period, passengers still made use of heavy clothing and portable heating systems such as gas lamps and lanterns. With several studies and research initiated by automobile engineers and companies such as Ford and General Motors, it was discovered that the use of portable heaters was dangerous and could lead to a car explosion. In 1917, automobile production companies realised that instead of the use car heaters, exhaust fumes could be used as a cheap onboard heat source. This discovery led to the production of the car exhaust system as a medium of the heating car. These exhaust fumes resulted in producing faint heat in the cabin. By 1929, this design became obsolete, and the first real car heaters were featured in Ford Model A. These new car heaters sent hot air from the engine into the interior space of the car, but it had some cons. These cons were because of the delay in its warming up. In 1933 Ford made the first in-dash heater, a small gas-fueled boiler. At first, these gas heaters proved handy and popular but sooner did a new design which competed with the gas heater system. This design relied on redirecting coolant from the engine and using that for heat. While the first designs to do so appeared in the 1920s, it wasn’t until 1930 that GM pioneered the now-standard heater core. This uses a radiator that gets hot coolant from the engine, then propels heat into the compartment using a fan. 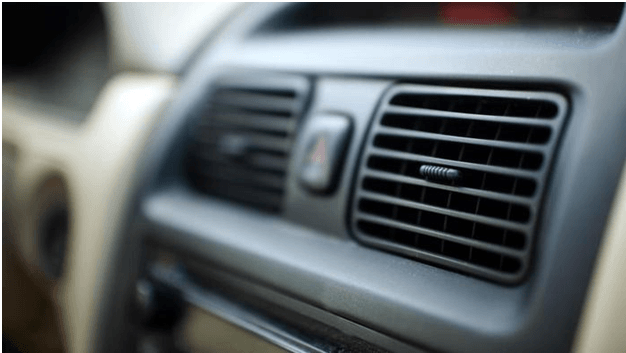 When it comes to car heating systems, several transformations have been put in place such as the introduction of car seat heaters in 1939 and several others in recent times.